When you visit Mission Viejo Dental Associates, your smile is our top priority. Our entire team is dedicated to providing you with the personalized, honest and gentle care that you deserve. Part of our commitment to serving our patients include providing information that enables them to make more informed decisions about their oral health needs. This website is a resource we hope you’ll find both useful and interesting. Dr. Robert Stalcup, DDS has over 40 years of clinical and operational experience in the dental industry. He is proud to have graduated from Loma Linda University. His expertise includes tenure as Operations Director for the largest multi-site integrated dental services company in the United States, overseeing 28 dental facilities with approximately $40 million dollars of annual revenues. He has successfully opened start-up offices in the states of California and Arizona, and has served on the Arizona Dental Board as an Investigative Interview Participant for over 7 years. He also co-owned and operated Pacific Coast Dental, a privately held company with 21 general dental offices and 32 orthodontic centers. On his spare time he enjoys cooking and golfing. Dr. Kristen Tran, DDS graduated from Indiana University School of Dentistry (Go Colts! ), where she received the degree of dental surgery and graduated clinically at the top of her class. Dr. Tran received her Bachelor of Science degree in biology and psychology from the University of California Irvine. She continues to study cosmetic dentistry to insure that the latest technology is being utilized for our patients' benefit. 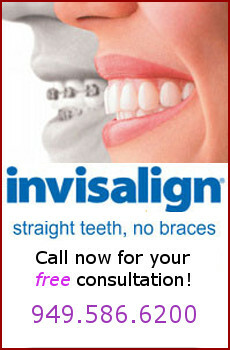 Dr. Tran is also Invisalign Certified. She enjoys every opportunity away from work with her beautiful daughter. Dr. Daniel Shaw, DDS like Dr. Stalcup, Dr. Shaw proudly graduated from Loma Linda University with a doctorate of dental surgery. He served a 2-year religious mission in Buenos Aires, Argentina where he cared for the afflicted and built homes in poor communities. His love for community service is exemplified daily by his excitement to provide quality care for his patients. Dr. Shaw loves nothing more than to send his patients home smiling and comforted. He has experience in restorative and cosmetic dentistry, as well as oral surgery. His spare time is spent scuba diving, surfing, and mountain biking with his wife. Dr. Alex Brandon, DDS is our orthodontist and has practiced in the field of orthodontia since 1996. He specialized in Orthodontic Therapy at Columbia University, New York, NY. Dr. Brandon is an Invisalign Certified orthodontist and has helped countless adults and children achieve a beautiful and functional smile. He enjoys fishing, scuba diving, and camping with his family. Mission Viejo Dental Associates is a dental professional dedicated to General, Family & Cosmetic Dentistry such as Dental Exams, Cleanings, X-rays, Fluoride, Dental Makeovers, Teeth Whitening, Veneers, Crowns, & more. Please come and visit Mission Viejo dentist Mission Viejo Dental Associates in Orange County, CA.